Rosary of Buddha, Christian, Rudraksha mala(rosary) is for Hindu. 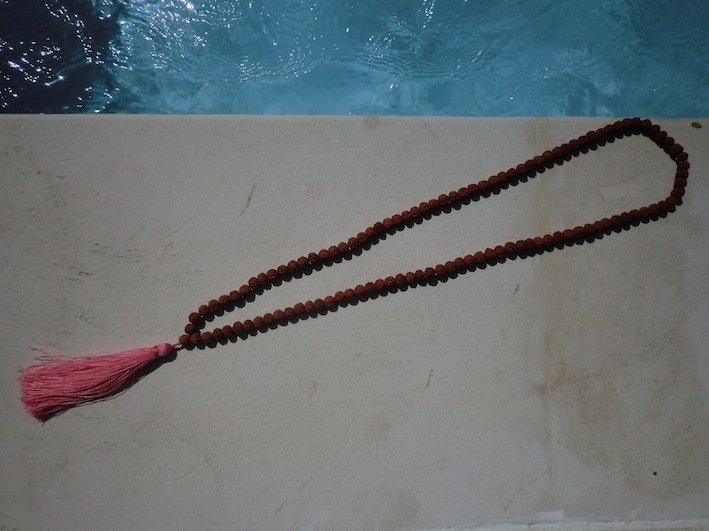 One day, he was wearing this Rudraksha mala and thought me about the story which please go to RHG Style.com to find out! It was the moment of awaken that all my encounter with people, things happened to me, around me were all lead to this moment. Present. RHG Style was born. Naturally, Rudraksha mala with the number of human passions, 108 beads became the first line of RHG Style .